As your local dentist in South Minneapolis, we truly understand the impact of a healthy, beautiful smile. 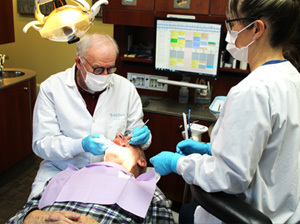 We go way beyond the typical dental experience. 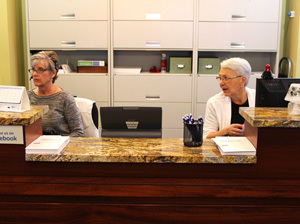 We strive to provide exceptional care while building lifelong relationships with you and your family. Your dental health is an important aspect of your overall well-being, and it is our goal to give you the comprehensive dental care you deserve. Ask us about Cerec, Invisalign and our teeth whitening options. Upon arrival to our Tangletown office in South Minneapolis, you will find our environment inviting, soothing and relaxing; like coming home to a comfortable living room. Feel free to arrive early and relax. Contact our South Minneapolis dental office to schedule an appointment. Providing quality dental care to Minneapolis, Edina, and Richfield and all surrounding Twin Cities areas. 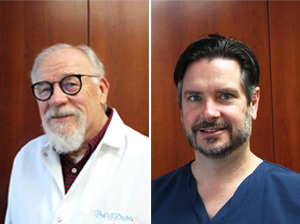 Dr. Brad Isaacson and Dr. James Dau provide the full scope of dental care services. Learn more about our team. From family dentistry to cosmetic dental enhancements, we will help you love your smile! See for yourself why Tangletown Dental is considered one of the most beautiful dental properties in America!